The ideal place for a book, a beverage, a lamp or a decorative object – side tables are often the unsung heroes of a living space. Thonet puts as much thought and care into the creation of such essential pieces as to its famed masterpieces. This unique portfolio includes not only the finest chairs, armchairs and sofas but is also matched by versatile living room tables that offer stylishly functional solutions to complement comfortable seating arrangements in an aesthetic harmony. 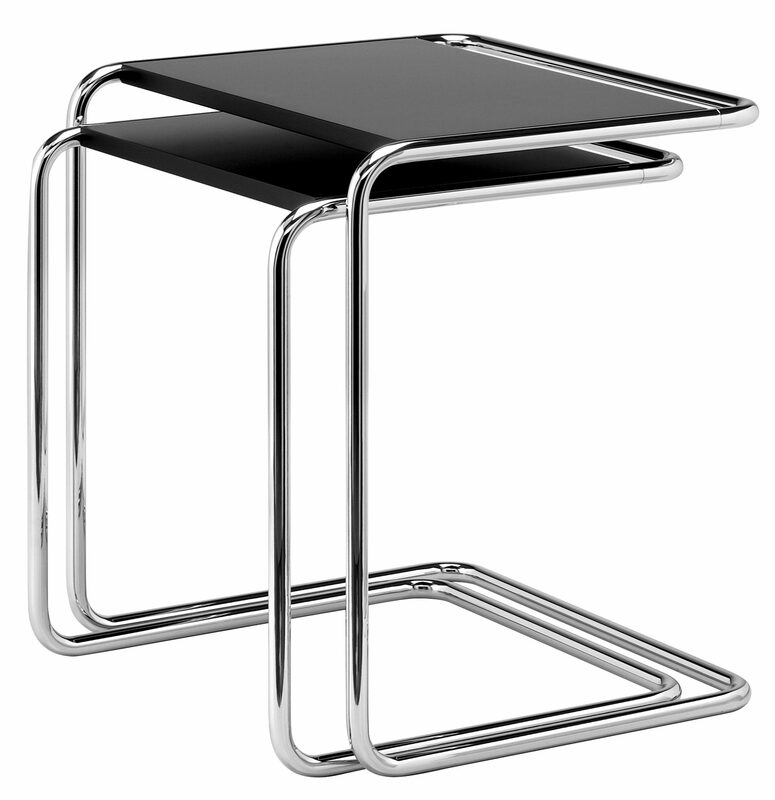 Thonet’s history of producing side tables began in the 1920s with Marcel Breuer. 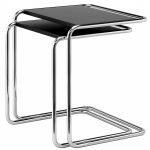 Today, the collection continues to offer Breuer’s classic tubular steel B 9 range and the versatile B 97 (also from the Bauhaus era), but also encompasses a selection of contemporary designs. 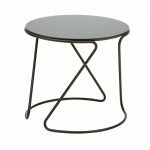 These include the charming wooden table 1025 by James Van Vossel with its playful ‘tripod with a twist’ leg design, and the intriguing side table S 18, a design by Uli Budde from 2017 which acknowledges the tubular steel heritage of the brand. 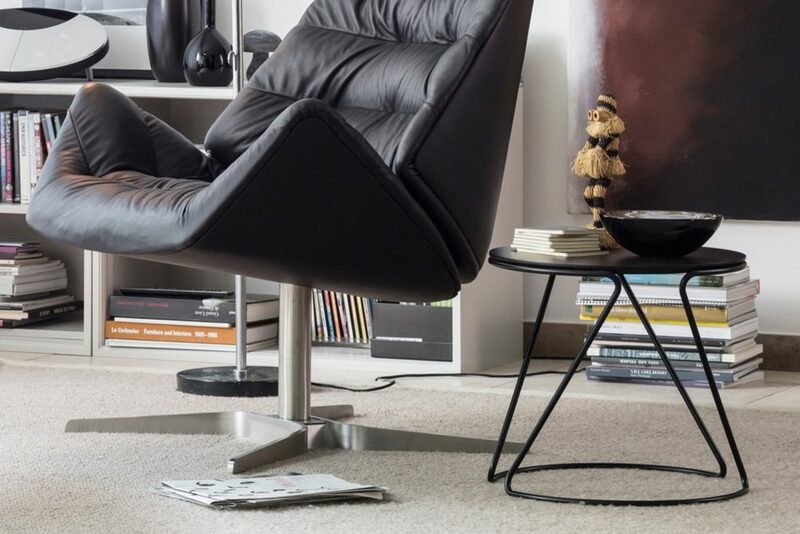 This space-saving furniture blends beautifully with a variety of furnishing ensembles and living environments, can stand-alone as a distinctive piece or even got to work outdoors in the form of the Thonet All Seasons versions of the tubular steel designs. 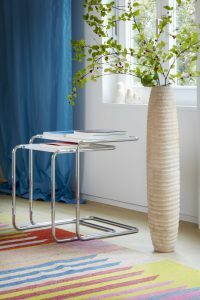 The architect and Bauhaus teacher Marcel Breuer is considered a pioneer of tubular steel furniture: in 1925, he conducted initial material experiments with cold-bent tubular steel. Breuer was so fascinated with Michael Thonet’s working method and bentwood technique that he wanted to translate the principles of bent wood as a material into steel. 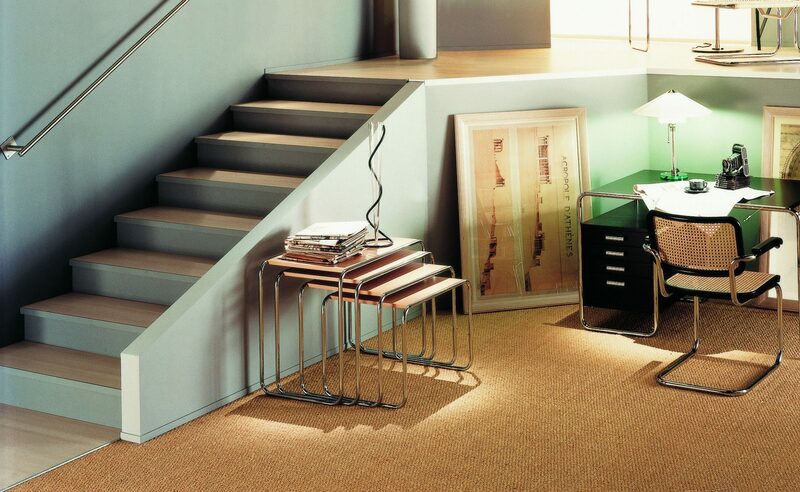 This idea resulted in the series B 9 in 1925, which was presented in Thonet’s 1930/31 catalogue. 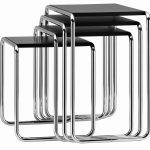 The side tables and footstools B 9 a-d can create a space-saving nest of tables and, then as today, are offered individually or as a set. The key feature of this range is its functional simplicity – the tables consist only of chrome-plated, bent tubular steel and rectangular surface panels. Over the decades, Thonet has introduced numerous versions: in addition to the classic version with beech wood tabletops (stained or lacquered), the B 9 range is also offered with glass tabletops or in a high-quality ThonetDur® laminate. In the “Pure Materials” series, the tables are available in versions with oiled wood, and the “Classics in Colour” collection presents seven bright hues for the frames. 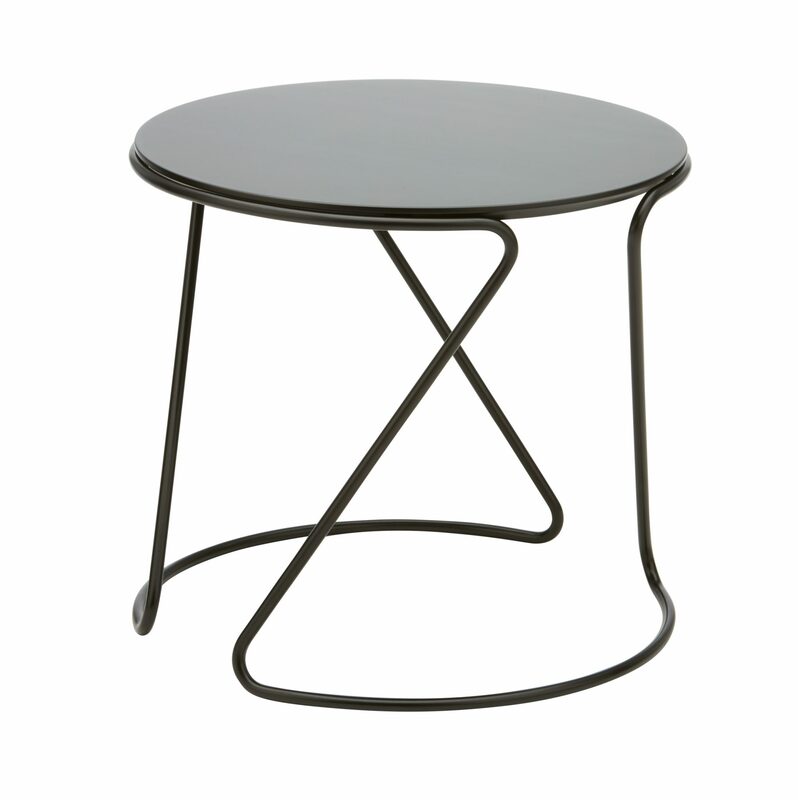 In the “Thonet All Seasons” collection, the tables B 9 are also available with weather-resistant “ThonetProtect®” surfaces for the frames and tabletops (which are formed of solid core laminate or exposed concrete), allowing their classic beauty and practicality to be enjoyed in gardens and on terraces as well as stylish interiors. 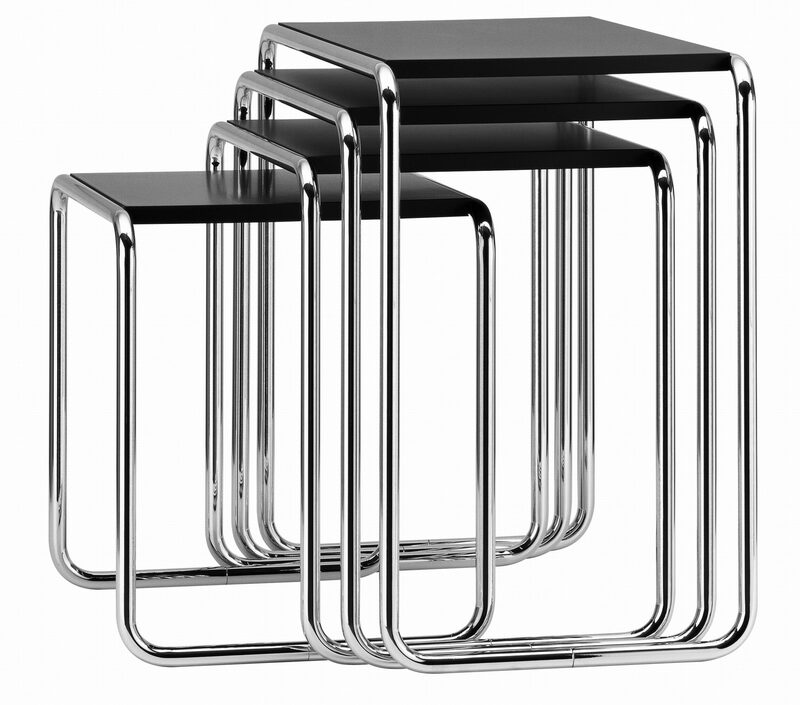 More tubular steel classics: the B 97 set is a design by Thonet from 1933. 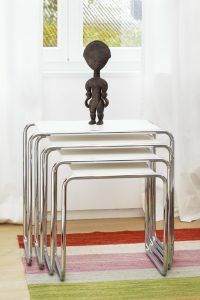 In its dimensions, it is reminiscent of Marcel Breuer’s B 9 tables. The ingenious adaptation of this design is to create a clear opening on one side, and in this way they also resemble the cantilever chairs in the portfolio. This opening allows the pair of side tables (B 97 a and B 97 b), each differing in height, to be positioned as desired over the edges of sofas, armchairs or beds for added convenience. When not in use, one can be pushed under the other to save space. 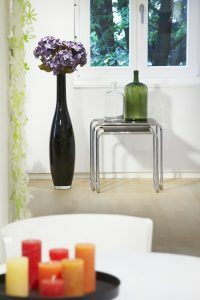 The frames are made of chrome-plated tubular steel and are also available as lacquered in the “Classics in Colour” tones. The tabletops are offered in different versions too: in stained beech, lacquered or with textured coating, in the silk-matte ThonetDur® finish or in glass. With the weather-resistant “ThonetProtect®” surface for the frames, and for tabletops made of solid core laminate or exposed concrete, the side tables B 97 are can also be used as “Thonet All Seasons” furniture – indoors and outdoors. The side table 1025 by James Van Vossel represents maximum elegance with a minimalistic essence: three wooden legs placed at regular 120-degree intervals describe an imaginary circle on the floor. 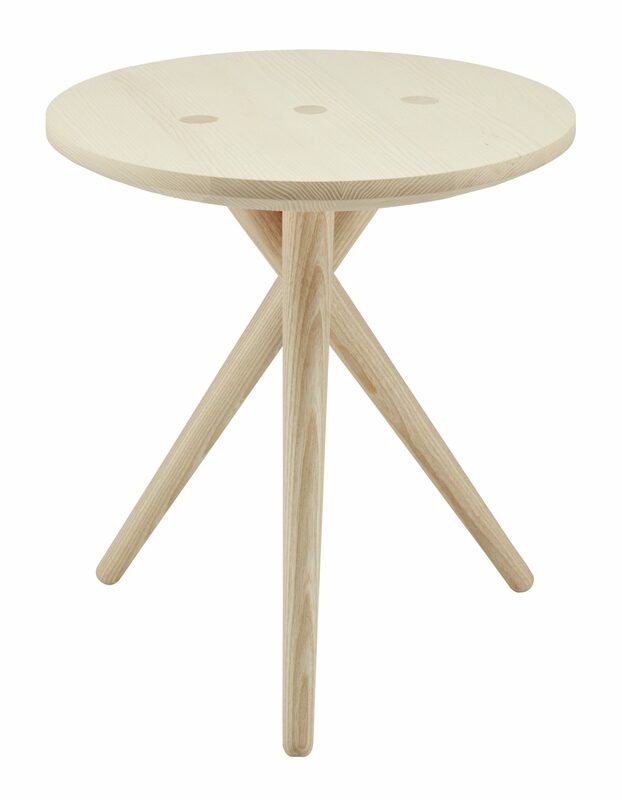 On the surface of the tabletop these legs appear as perfectly aligned flush circles. The variations in grain pattern of the three table legs, which taper towards the bottom, create an additional graphic effect to contrast with the tabletop. “The goal was to create a eureka effect. 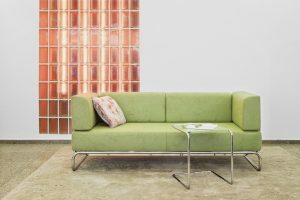 The playful construction aims to arouse curiosity and gives the model a sculptural appearance – an exhibition piece for private living rooms,” says designer James Van Vossel. The side table 1025 is available in ash, oak and walnut and convinces with its high-precision production, where sophisticated technology meets masterful craftsmanship. The side table S 18 introduced in 2017 is multi-faceted and blends both a contemporary and classic character. 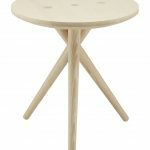 The circle is the dominant element of this design and can be found in the form of the tabletop and echoed at the base. The frame is made of tubular steel and is reminiscent of an infinite loop, hinting at Marcel Breuer’s typical Bauhaus line management. The geometric appearance of this side table reveals ever-new perspectives. With the graphic and poetic signature of designer Uli Budde, the S 18 symbolises a present day homage to the Thonet DNA. The black side table is ideally suited to lounge and living environments and, due to its refined design, can be combined with numerous pieces from the Thonet portfolio.